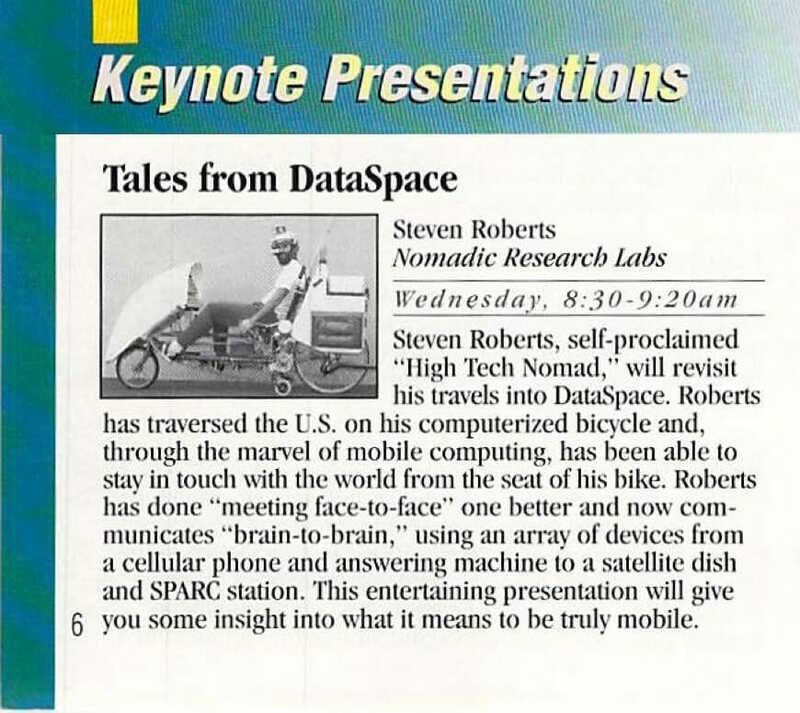 Steven Roberts, self-proclaimed “High Tech Nomad,” will revisit his travels into DataSpace. Roberts has traversed the U.S. on his computerized bicycle and, through the marvel of mobile computing, has been able to stay in touch with the world from the seat of his bike. Roberts has done “meeting face-to-face” one better and now communicates “brain-to-brain,” using an array of devices from a cellular phone and answering machine to a satellite dish and SPARC station. This entertaining presentation will give g you some insight into what it means to be truly mobile.